Legends in making! I'm 0kamii, and tonight, I want to showcase a post that I've been teasing for a long, long time but only just now got around to it. I meant to do this post ages ago, but compiling data is harder than you realize, as is finding a reliable pie chart maker. 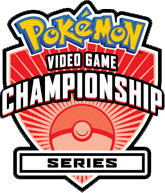 Anyhow, since I personally love to use rather gimmicky sets and tricks in my teams, especially in formats like VGC, I started to wonder if perhaps there was a correlation between my personality type and the way I went about constructing my teams, then using them in battle. 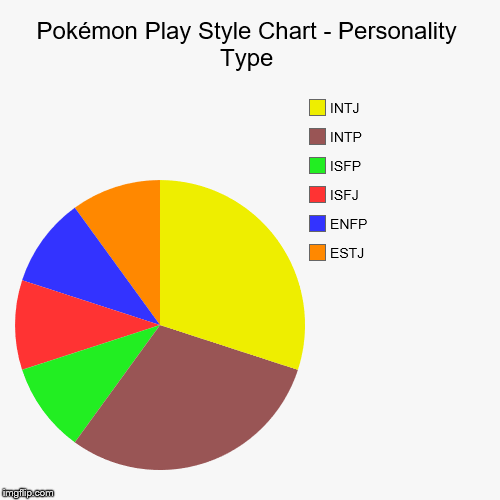 However, like any good scientist, I realized that data isn't tangible without a decent sample size, so I wrote a post asking the good readers of PokémonForever to take the Jung personality test, and then list some of their preferred things to do/use regarding their battle styles. Namely their favorite type along with their favorite strategies. If you want to take the test for yourself to see if you fit into the data I've surmised below, you can find the link here. Also, a huge thank you to users: @LuxrayLogan, @ScottyThunder, @FireTaco, @Kris, @PerchPond, @moo311, @Reis, @RetroTyphlosion, @Sharkfang2193, and @Mr. Ultracool for being my gracious sample size/control group. It took forever, but the post is finally here! The first thing I'd like to do is to list the various pie charts I've crafted to showcase the information I collected from my lovely volunteers. The first of those charts is shown below. I had a sample size of about 10 users, and in a normal scientific experiment that wouldn't count as a sufficient control group. But seeing as how this is just for fun, I'll take whatever I can get. 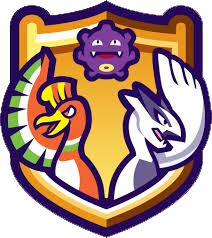 What was interesting to note is that of the 10 users in the control group, 40% of them, nearly half, preferred a hyper-offensive strategy as their go-to for any type of pokémon battle. 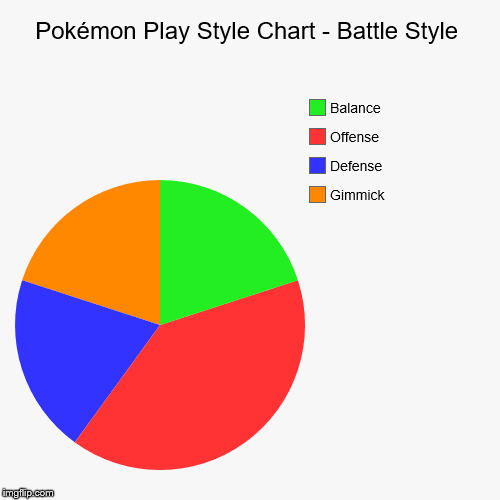 The rest of the play styles were distributed rather evenly, which each remaining style holding 20% of the whole. Next, I wanted to see which types of personalities (according to Jung) populated the control group. There were two personality types that were the most common. INTJ and INTP were the most abundant, each one taking up 30% of the group. Something else of note is that E-type personalities only appeared twice out of 10 people, and both had completely different characteristics. If you're curious about what each of the letters mean specifically, you can find out by reading this article on HumanMetrics. Since the people in the sample size are predominantly I-type personalities, I expected a lot of the favorite types to overlap with the corresponding types. However, the next chart didn't turn out quite as I predicted. Though I shouldn't have been as surprised as I was, almost every single person had a different type. The sole excpetion being Psychic, which now occupies 20% of the list. So instead I decided to categorize each type based on the way that type is typically played. Fire - offensive, Water - mixed, etc. and compared that to each person's four-letter personality. For the sake of anonymity, I won't be revealing who had what personality types, but I complied all the data and here's a few conclusion I was able to draw based on the sample size. 1.) An INTJ-type personality is commonly drawn to more defensive strategies. 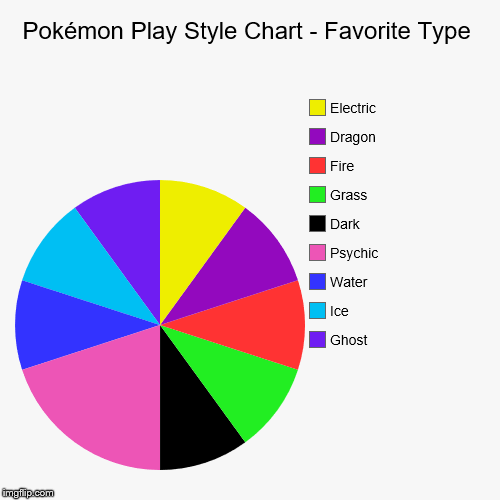 Common types used by this personality were Water, Dragon, and Electric. 2.) An INTP-type personality is commonly drawn to a more balanced style of play, typically using types with mixed roles such as Ghost and Psychic. 3.) All IS-type personalities were indeterminate. There were only two in the the control group and both had vastly different results. Though both seem to lean towards a balanced style of play, with footholds in gimmicks and offense. 4.) An E-type personality is drawn to hyper-offensive strageties with near certainty, commonly citing offensive types like Fire as their favorite type. While there is more data on I-type personalities, the evidence provided seems to indicate the E-type personalities will usually show a more direct approach to their battles and force their way to victory. That's about all I have for you all tonight. Remember, if you want to take the test yourself and see how your data compares to the information above, feel free to take the test and post your results in the thread below. If there's enough interest, I'll even do a reader-based pie chart and see if the information correlates with the above data. Keep in mind that outliers are always a possibility, and you may very well be an E-type personality that prefers to stay on the defense. And that's okay! 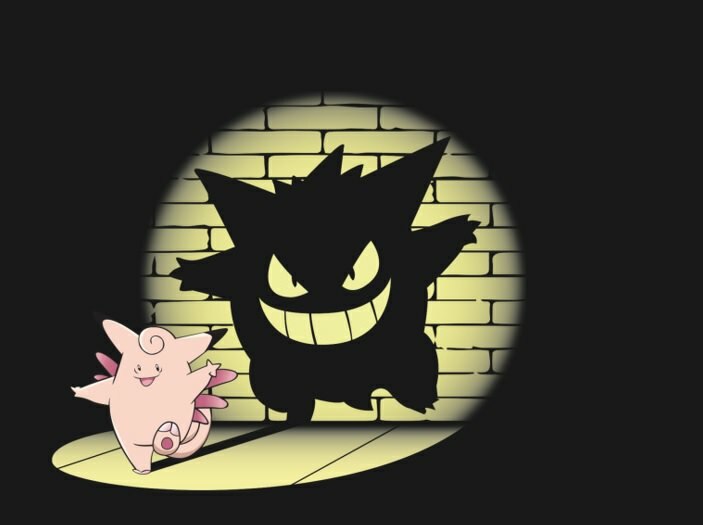 Everyone has a different play style, and that's what makes pokémon battles so much fun! Stay tuned for my newest post coming Friday, and don't forget to check out the next 'Battle the Mods' stream coming Saturday! Cool post I got an ENFP type and yeah fire is my favorite type. Nice job! @0kamii This is an intriguing topic that I doubt I'd ever thought of. Thanks a lot for the info. Looking at those charts I'd say you got it pretty close with me; will be looking forward to more of these sort of more thought provoking threads.